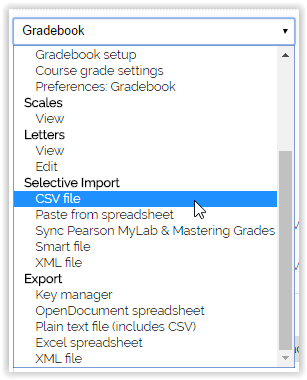 The CSV Importer may be used to import grades (and feedback if applicable) from sources outside the current gradebook. To work correctly, the CSV file should have column headings and contain a unique identifier that can correspond to one of the unique identifier options in Moodle as explained below. 1. Log in to Moodle, and click on the desired course. 2. In the Administration block to the left of the screen, click on Grades. 3. Click on the drop-down menu at the top of the screen, and select the CSV File option under the Selective Import header. 4. 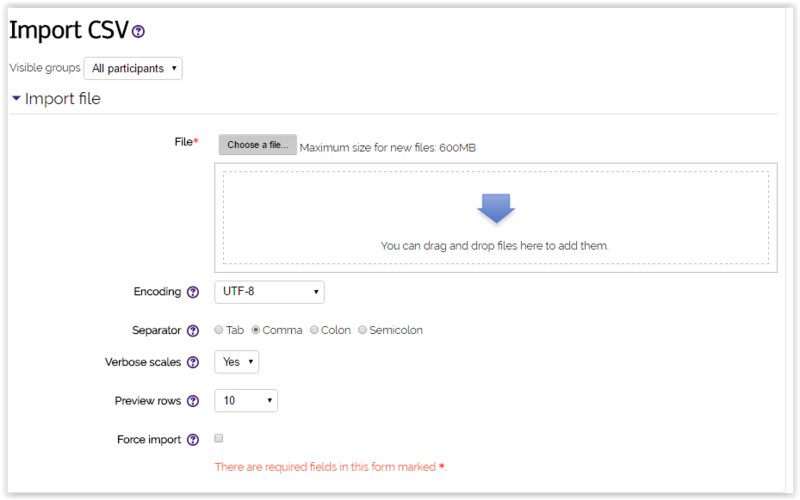 Click on the Choose a file button next to the File field box to select the CSV you wish to upload. You can also drag and drop the file directly within the field provided. 5. Edit the remaining settings and click the Upload Grades button. 7. Map the desired graded items with those in the file you have just imported using the drop-down menus and leave the rest as Ignore. 8. 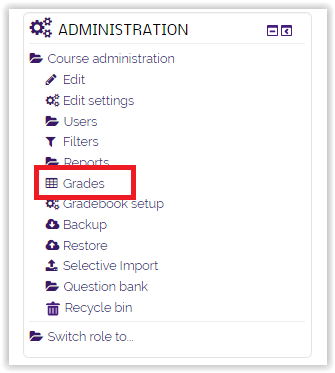 Click the Upload grades button to finish importing the grades.